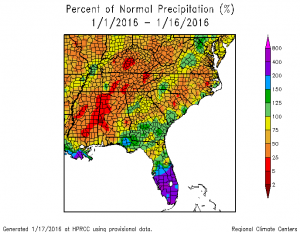 How does 2015 rank for temperature and precipitation? 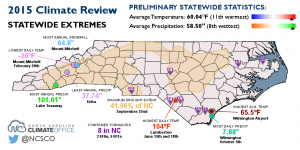 The State Climate Office of North Carolina has released their summary of the 2015 climate in their state. 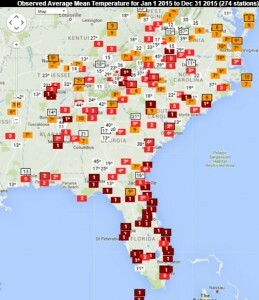 You can find it at http://climate.ncsu.edu/climateblog?id=171&h=5666e5c1. 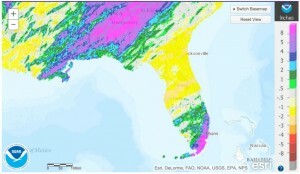 The latest climate summary for Florida for December 2015 is now available at their website. You can visit it by clicking here. 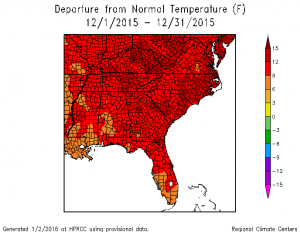 The State Climate Office of North Carolina has published their climate summary for December 2015 at http://climate.ncsu.edu/climateblog?id=170&h=5666e5c1. They also have an discussion on the outlook for the rest of winter which covers the Southeast, so you may want to read it even if you live outside of North Carolina.